From about 2014 till this very moment, the number of new cryptocurrencies and companies based on the blockchain technology that have sprung up is overwhelming. What is, however, more overwhelming is the growth and welcome these “newcomer” cryptos have received since inception. An example of such blockchain technology-based company is Stellar; and we shall be talking about the currency used on the network — the Stellar Lumen (XLM). Stellar is an open source platform founded in the early periods of 2014 by Jed McCaleb and Joyce Kim (a lawyer). Jed has years of experience in the blockchain technology. He created eDonkey (a decentralized, server-based, peer-to-peer file sharing network), co-founded Mt. Gox (a Tokyo-based Bitcoin exchange that was handling over 70% of all Bitcoin transactions in 2014) and also co-founded Ripple (the third biggest cryptocurrency according to market capitalization). Stellar was originally based on the Ripple protocol before the Stellar team rewrote the code and released it as a fork of Ripple. Both networks are engineered based on a distributed open-source protocol. Transactions time on the Stellar and Stellar networks are completed within 5 seconds; though Stellar is a little faster. Both networks have a next-to-zero transaction fee. Both networks are characterized by high transaction volume (up to 1000+ transactions) per second. 100 billion units of both cryptocurrencies were created during launch. The cryptocurrency was originally known as Stellar (SLM) but rebranded to Lumens (or XLM for short). The term Stellar and Lumen are, however, still used interchangeably. So, when next you hear a person talk about “Lumen”, he isn’t speaking of a new crypto; rather, Stellar. Stellar has a market cap of $4.33B USD and a unit of the crypto is currently worth $0.23 USD. The easiest way to owning a Stellar or Lumen (XLM) coin is buying it on exchanges or exchanging other cryptocurrencies for it. CEX – CEX.io is a popular crypto exchange platform. On CEX, you can purchase Lumen (XLM) with fiat currency (USD, EUR, or RUB) or exchange other cryptos like BTC, LTC, BCH, ETH etc. for XLM. Kraken – Kraken is also an exchange that allows for purchase or sale of XLM with fiat money, wire transfer, and payment with other cryptos. The Stellar network currency (Lumen XLM) can be bought or sold on the above-listed exchanges. However, unlike fiat money, you cannot hold Lumen in your hands; hence, the need for a wallet — a Lumen wallet— to store your XLM. There are 3 different categories of available XLM wallets; Desktop wallet, Online wallet, and Mobile wallets. Desktop XLM wallets are available for PCs running either Mac, Windows or Linux OS. Some examples include; Stellar Desktop Client, Ledger, and Stargazer. Online XLM wallets are less secure wallets where your Lunen are stored on the server of your wallet provider. With online wallets, there is a high tendency of being hacked. Some online wallets available for XLM are; Lobstr, Papaya, Stargazer, BlackWallet, LuPoEx, Stellarport, eBitGo, Stronghold, SAZA, Luun, and StellarTerm. Mobile wallets are also available for XLM. They are designed for easy and on-the-go access to XLM whenever and wherever you need it. Example of Mobile wallets that support XLM are Lobstr, Papaya, and Stargazer. 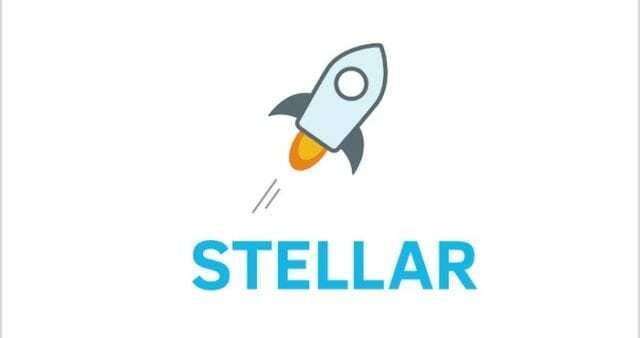 Stellar is a non-profit blockchain project that aims to ease up cross-border transactions, allowing people (without bank accounts) from all around transfer money to any place in the world. The crypto’s growth since inception is admiring and as an end note, it would interest you to know that about half of Stellar’s staff are female. Hope you picked up one or two things you never knew about the Stellar network and Lumen (XLM) cryptocurrency? Got any questions? Drop them in the comments section.